When I met Lior, my partner, we didn't know much about the institution of the Chief Rabbinate of Israel and the process of getting married in the State of Israel. After taking a course in family law as part of my law degree program, we decided unequivocally that we would not honor the Rabbinate with our signatures. 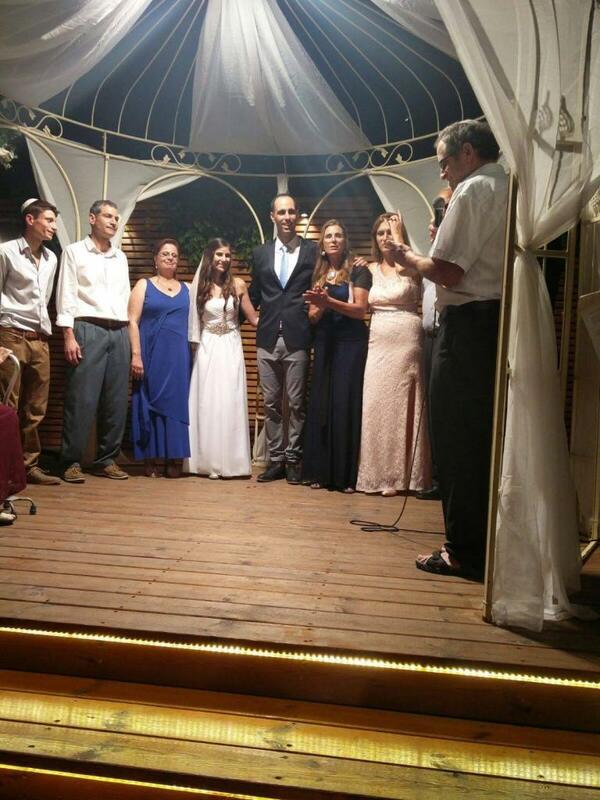 Yes, this raised a number of eyebrows, and we faced the slightest social pressure, but in the end, with the support of most of our family, we arranged an amazing Jewish wedding ceremony, which we wrote ourselves. It was a chuppah (Jewish wedding canopy) ceremony that combine both new and old. It was just as we wanted it and to the satisfaction of a large portion of our families. A close friend married us in an egalitarian ceremony; we sanctified ourselves to one another with wedding rings, honored our parents who blessed us during the ceremony, and -surprisingly- the traditional portion of the ceremony was particularly charming. It was important to us to make room for the traditions of Israel, to the seven traditional wedding blessings, and to our heritage. We have nothing against tradition, but we don't need intermediaries between us and God. Ours was a wonderful chuppah, and we received many compliments. We urge you to vote with your wedding rings - an egalitarian, Jewish wedding ceremony can be arranged, without the Israeli Chief Rabbinate. We would be more than happy to assist in answering your questions or even helping you to write your own wedding ceremonies.